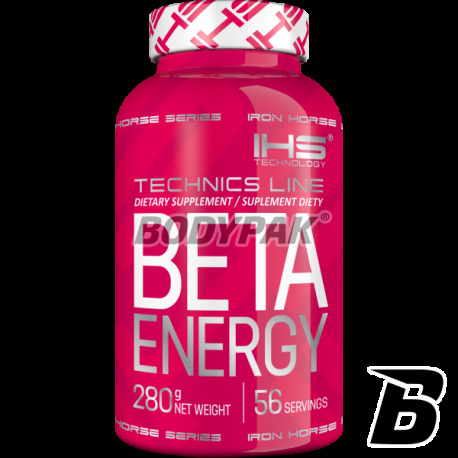 Innovative supplement containing high-quality beta-alanine, relationship effectively influencing the strength of the exercise of the body, which also has been enriched with L-histidine. Iron Horse Series comes forward ideal composition for endurance sports disciplines. In our products you will not find unnecessary sugar or salt, only natural flavors and sweeteners. Same active substances and additionally excellent taste confirmed many of the opinions. However, notice one important addition of histidine, the lack of this relationship makes the work of beta alanine is delayed in time. 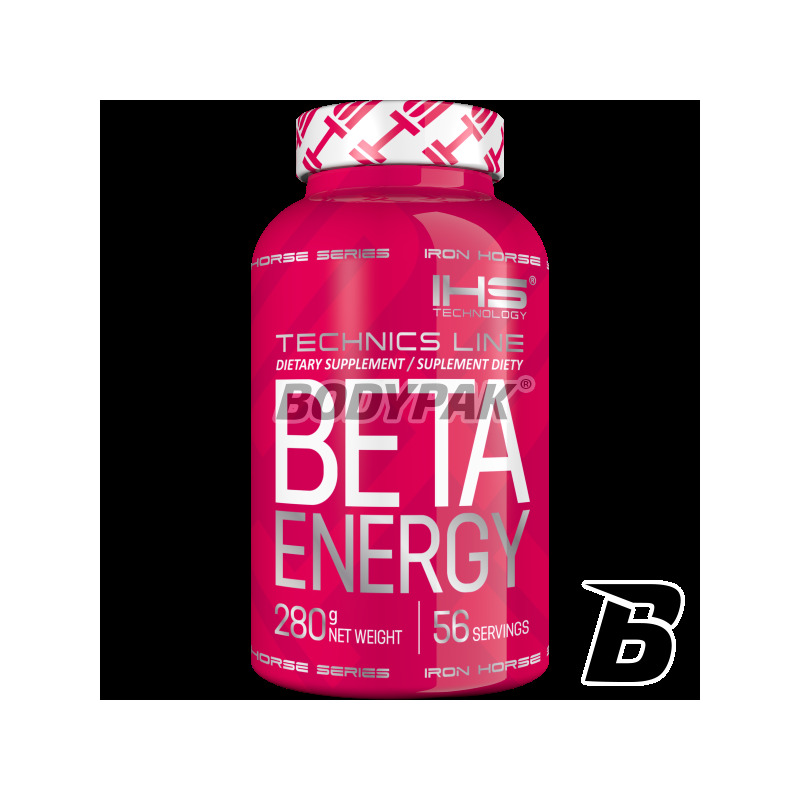 Beta IHS Energy is the result of the work of specialists in the field of supplementation. The composition you will find the best quality beta-alanine, and additives such as L-histidine, citrulline malate and pyridoxine hydrochloride. Using this preparation for a long time you pick up the level kanrozyny in their muscles, which aims to maintain the acid-alkaline balance. Disturbance of that balance leads in a short time to reduce the efficiency of the muscles, which is not advisable during training. In other words, your workouts will be able to be longer and heavier than before. Carnosine so quickly does not rise without the composition of Beta Alanine + histidine. Beta-alanine and histidine create carnosine which causes the muscles can work longer in anaerobic exercise, without fear acidification. The product is targeted for endurance athletes and bodybuilders who want to improve their muscle strength. Składniki: beta alanina, l-histydyna, cytrynian magnezu, chlorowodorek pirydoksyny, aromat owocowy, substancja słodząca: sukraloza. Idealne uzupełnienie cyklu na kreatynie.. czuć moc!